This summer Free Street Theater is presenting Ricardo Gamboa’s The Real Life Adventures of Jimmy De Las Rosas. While the plot, setting, and characters are pure Chicago, this isn’t the Chicago of sitcoms and rom-coms; it’s the Chicago of immigrants and their children, their communities and their superpowers. 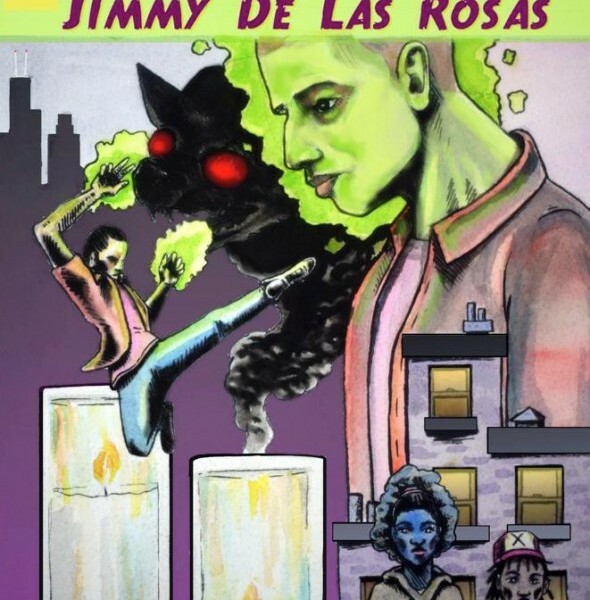 In The Real Life Adventures of Jimmy De Las Rosas, a 13-year old Mexican-American boy living in Pilsen and Little Village spends his days playing baseball, helping his abuela with her elote cart, and hiding the fact that he has telekinetic powers. When his mother, an undocumented factory worker, mysteriously disappears, Jimmy is determined to find her. With the help of two “pirates,” he finds himself facing a pack of mutant Chihuahuas and a ruthless sweatshop owner in a high-stakes battle to reclaim the streets of his neighborhood. The site-specific play uses city parks as the backdrop for action-packed scenes and special effects. Drawing on a range of influences, including comic books, telenovelas, sci-fi, chisme, and samurai stories, Real Life Adventures is about extraordinary happenings in an everyday environment. Gamboa uses the historical fact of toxic spills in a working class Mexican neighborhood of Chicago as the departure point for a fast-paced adventure about super-heroes and supervillains. Under the direction of Coya Paz, the cast and crew have invented new ways to produce a spectacular production in Chicago’s city parks. 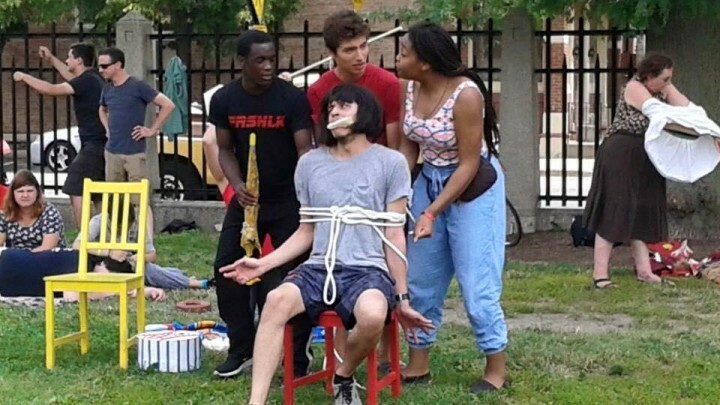 While this play isn’t the kind of ensemble-created work FST usually makes, Real Life Adventures does fit the company’s mission of doing performance in non-traditional spaces, of presenting work outdoors, for free, and in the neighborhoods where the people presented in the story live. Friday, July 31 Piotrowski Park 4247 W 31st St.
Wednesday, August 12 Davis Square 4430 S Marshfield Ave.
Thursday, August 13 Avondale Park 3516 W. School St. Founded in 1969, Free Street Theater was the first racially integrated theater company in Chicago. FST has long been dedicated to the idea that theater should be accessible to diverse audiences in diverse spaces. Today, Free Street Theater’s work includes a Youth Conservatory, a Multi-Generational Collective, an Incubator Program for artists developing new performances, Free Workshops, and Community Residencies. For more information, visit www.freestreet.org. The Real Life Adventures of Jimmy de Las Rosas is presented as part of the Chicago Park District’s Night Out in the Parks series, supported by Mayor Rahm Emanuel. Arts programming in neighborhoods across the city advances the goals of the Chicago Park District and the Chicago Cultural Plan. Now in its third year, the 2015 Night Out in the Parks series will host over 1,000 events and programs at more than 250 neighborhood parks throughout the city, making community parks a safe haven and hubs of activity. Projects will vary from traditional performances and concerts, to movies, peace rallies, community workshops, nature based programs, dance pieces and more. The Chicago Park District has partnered with more than 80 arts and community organizations to expand and produce this successful initiative.